ConceptDraw DIAGRAM diagramming and vector drawing software offers the Floor Plans Solution from the Building Plans area of ConceptDraw Solution Park to make your own Floor Plans creating fast and simple. You need just a few movements to drag objects from the libraries to the document to quickly make the layout of the house, apartment, office, or any other premise. And yet several movements to add the furniture objects and arrange them on the plan according to your needs. 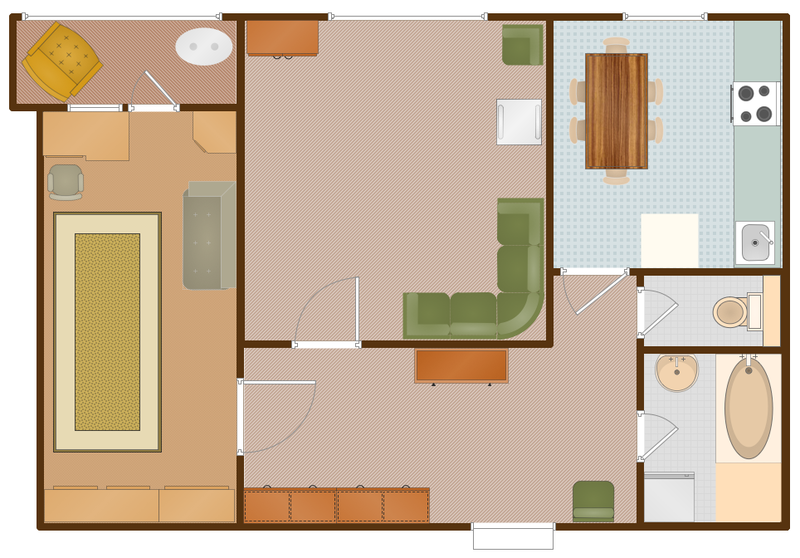 And now professional looking, visual and detailed Floor Plan will be completed. The samples you see on this page were created in ConceptDraw DIAGRAM using the tools of the Floor Plans Solution from the Building Plans Area. They successfully demonstrate solution's capabilities and professional results you can achieve. 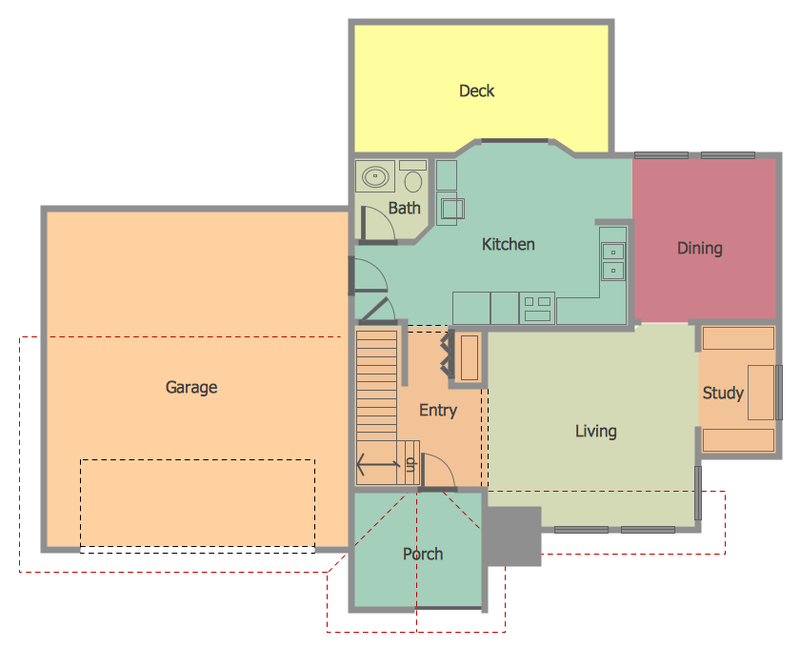 Use Floor Plans Solution for ConceptDraw DIAGRAM to make your own Floor Plans quick, easy, and effective. All source documents are vector graphic documents. They are available for reviewing, modifying, or converting to a variety of formats (PDF file, MS PowerPoint, MS Visio, and many other graphic formats) from the ConceptDraw STORE. 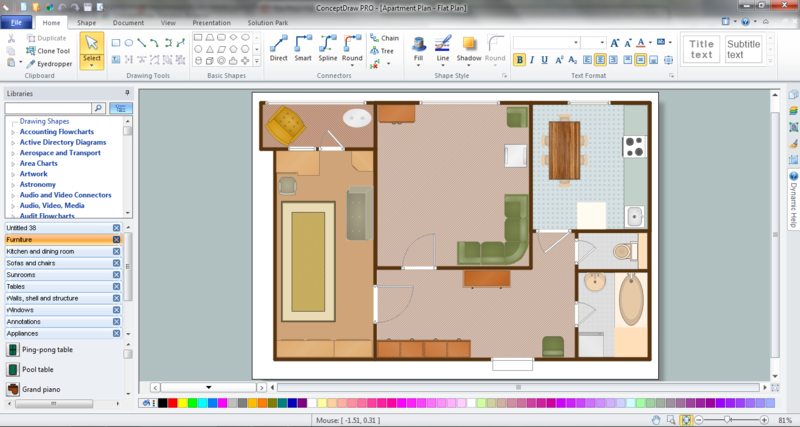 The Floor Plans Solution is available for all ConceptDraw DIAGRAM or later users.